Norwegian Air International's attempt to establish a low cost trans-Atlantic air bridge is hitting major obstacles that could end the service as early as Dec. 23. Already experiencing difficulties in getting its Irish Air Operator Certificate (AOC). Now the Air Line Pilots Association (ALPA), which represents nearly 50,000 pilots working for 32 U.S. and Canadian airlines, is urging the U.S. Department of Transportation (DOT) to reject NAI’s application for a foreign air carrier permit. On Wednesday, ALPA’s President Captain Lee Moak issued a statement saying, "Norwegian Air International was clearly designed to attempt to dodge laws and regulations, starting a race to the bottom on labor and working conditions. If successful, the company would gain a serious and unfair economic advantage over U.S. airlines in the competition for the business of international passengers flying to and from the United States. This exploitation of the laws intended to prevent labor law shopping cannot be allowed to stand." These problems emerge for NAI just as they’re announcing yet another Dreamliner route from JFK to the city of Bergen. For American travelers hoping to cruise the Norwegian fjords this summer the flight seems Ideal. It would run May 9 through Sept. 27, departing New York on Fridays and arriving Saturday mornings, perfectly timed for the cruise itineraries that explore the coast of Norway. It would be the first direct connection to the city which is a gateway to the Norwegian Fjords. The flight will have a special launch fare of $178 each way. Not so fast says ALPA, pointing out that while NAI, which is a subsidiary of Norwegian Air Shuttle (NAS), uses aircraft registered in Ireland and has applied for an air operator certificate from that country, its flight crews work under individual employment contracts that are governed by Singapore law and that have wages and working conditions substantially inferior to those of NAS's Norway-based pilots. The Singaporean crews working on contracts don’t enjoy the labor gains of Norwegian or American flight crews. "If NAS is permitted to pick and choose the countries in which it establishes its subsidiaries and employs its flight crews, U.S. carriers will be put at a severe competitive disadvantage because the United States has one set of laws and regulations for all of its airlines," said Moak. "The U.S.-EU air services agreement was never intended to allow this type of scheme, which games the system for competitive economic advantages." NAI launched low cost long-haul service from Oslo and Stockholm to New York and Bangkok in May using Boeing 787 Dreamliners. The service works well for consumers that can choose a la carte to upgrade to larger seats, three-course meals with drinks or checked baggage. In a global labor market consumers are confronted with choices that pit price versus fair trade considerations. Consumers are familiar with these issues when it comes to buying clothing or electronics, now the conflict is expressing itself in travel. For Norwegian’s CEO Bjørn Kjos, price and service trump other considerations. 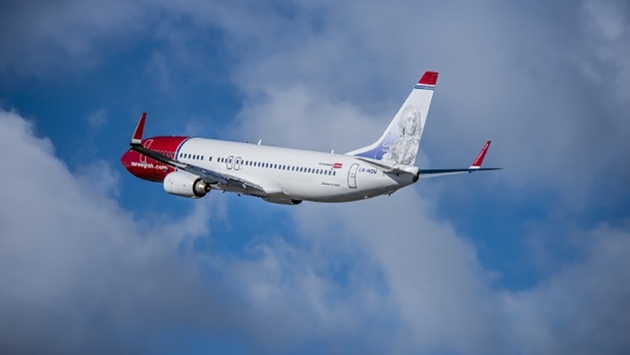 “Norwegian’s routes between Scandinavia and New York have been very well received, and I am looking forward to welcoming even more Americans onboard our brand new Dreamliners on our non-stop service to Bergen,” said Kjos. For Moak and ALPA the choice tilts toward fair trade. In an Aviation Daily piece Moak cited a quote by the AFL-CIO's Transportation Trades Department that said, "We must reject business models premised on scouring the globe for cheap labor no matter the consequences, and not pretend this is somehow acceptable competitive behavior." 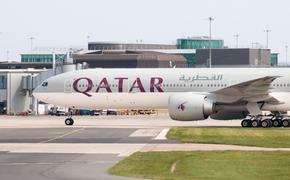 For now all eyes turn to the Irish Aviation Authority, which has twice denied NAI’s filing for an AOC based on insufficient information in the application. Thus NAI has petitioned for an extension in Norway for its AOC there until the Irish situation resolves. Both the Irish and the Norwegian authorities, according to local Norwegian accounts, don’t intend to change their positions and SAS has said it will petition the Norwegian government against granting an extension on the grounds that NAI enjoys an unfair competitive advantage.